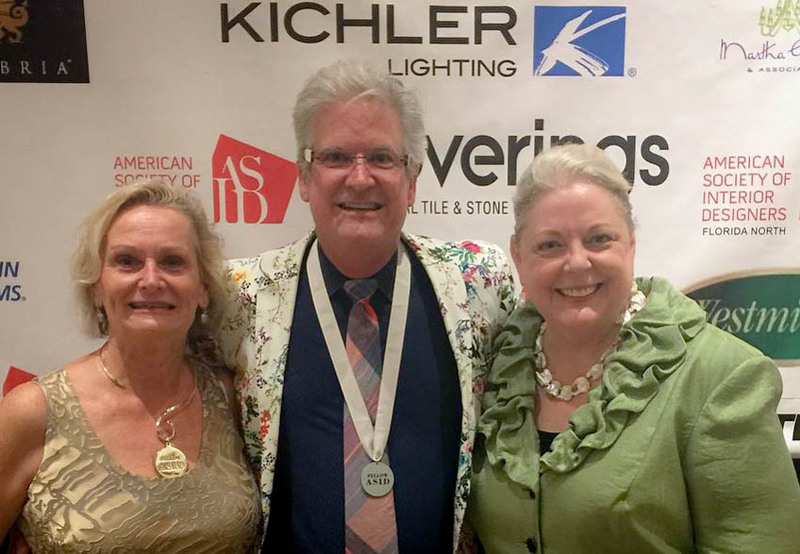 The photo above is from The American Society of Interior Designers (ASID) Florida North Annual Chapter Weekend event held at the JW Marriott Orlando. The three ASID Fellows in attendance, pictured from left, were Donna Kirby, FASID; Grant Gribble, FASID, IIDA; and Juli Catlin, FASID. There are only 22 Fellows in the entire state of Florida, and eight of those are members of the Florida North Chapter of ASID. We thank ASID Florida North for hosting a great event.